How cool would it be for your anniversary to be 12/12? So easy to remember each year. So unique. Then the added bonus of the year of 2012! Get married at noon or midnight for an extra 12. Everything is aligned to ensure a long and happy marriage and yet, I have no weddings scheduled. So, if you are about to take the plunge but need a nudge besides such a great date, I will offer a 12% discount to anyone that books one of our bridal packages on 12/12/12. So no maybe, call me! This special won't be offered again until 12/12/3012. This is one of my favorite cookies of all time. I got the recipe back in the 70's during the first oil crisis when ovens were multi-tasking machines. 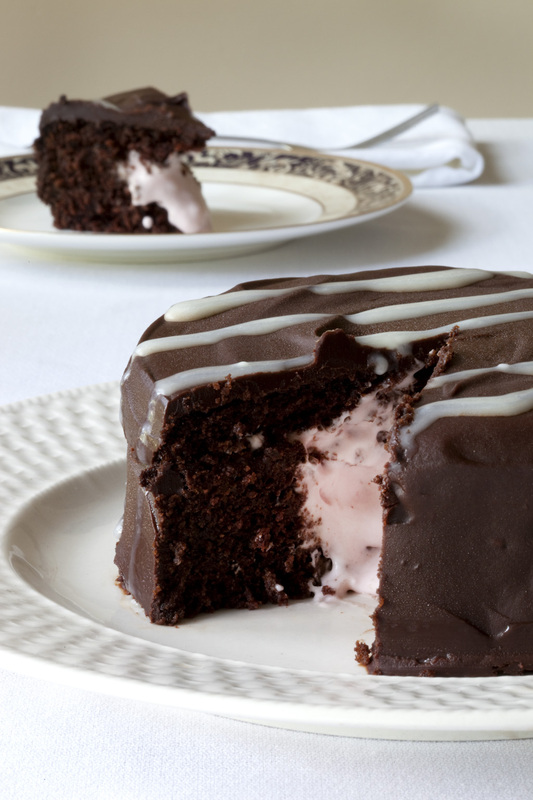 After you baked whatever you were having for dinner, you would turn the oven off and let these treats "bake" overnight. The cookies are a basic meringue but lend themselves to many variations. These are not as dry and hard as commercial varieties. The outside has a pleasant crunch but the inside is more of a divinity texture due to the moisture in the fillings. They can be tinted or flavored as you like. I've listed my most popular fillings but you can try anything that is fairly dry. I prefer mini chips and usually chop regular sized chips if the flavor doesn't come in mini size. If you have had trouble with undissolved sugar in meringues due to humidity or old sugar I have an easy tip. Measure the sugar required for the recipe into a blender. (If you have a small blender jar it is even better.) Whirl the sugar for a minute or so until it is the consistency of powdered sugar. Then use in the recipe. DO NOT substitute regular powdered sugar as the corn starch in it will mess up the finished product. Preheat oven to 350 for an over night bake or to 200 for a 3 hour bake. Cover a baking sheet with tin foil - do not grease. Drop batter by small teaspoon or small cookie scoop onto foil. These won't spread so you can place them very close together. Place in 350 oven, turn off heat and leave for 8 hours without opening the oven door. Place in 200 oven and leave for about 3 hours. Cool on counter before removing from the foil. The cookies will peel off of the tinfoil. Store tightly covered. Just a quick unadorned note to let everyone know that the Inn and innkeepers survived another massive storm. Sadly two of the big trees by the parking lot fell on top of our students' cars but no one was injured. We have only minor gutter damage. Of course we have no power, phones or internet access and aren't sure when those will be back. (Thank goodness for cell phones and the many WIFI hot spots around the area.) We have repair crews in the neighborhood including some from Missouri and Michigan. Many trees are down and need to be cleared before the lines can be safely repaired. We will let everyone know when things are ready for guests again. If you have reservations for this weekend we will be contacting you tomorrow. Thanks Ben, we look forward to your next visit. If anyone wants to check out other reviews you can find us on Trip Advisor, Yelp, or BedandBreakfast.com. YOU DID IT!!!!!! YOUR VOTES PUT US OVER THE TOP!!!!!!! 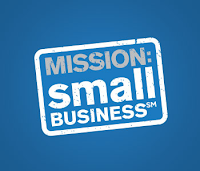 The Inn is now eligible for Phase Two of the Mission Small Business Grant Competition: the Essay Contest. Fortunately there will be no swim suit, competition or talent competitions. Seriously, I've sent in the essay and there's nothing more to do until they announce the winners Sept. 15, 2012. Today's blog entry is by the Narragansett Chamber of Commerce which gives a run down of all the fire works and free concerts coming up to celebrate the holiday. If you missed our mighty fine Regatta last week the America's Cup races are just a short drive away in Newport. If you want to make a day of it, you could watch America's oldest 4th of July parade in Bristol, RI in the morning, hit the beaches, clean up for a great dinner and then enjoy the evening activities. How relaxing would that be? So make a booking and come enjoy the sun, surf, and all kinds of free fun. The AC World Series features tight, short race courses designed to deliver close racing for the fans on shore as well as the online and TV audiences. The innovative regatta format includes a mix of speed trials, head-to-head match racing, and all-out fleet racing with 6 identical AC45s on the line. R.I Red Chicl Hatch - Visitors will be able to see and hold baby chicks. 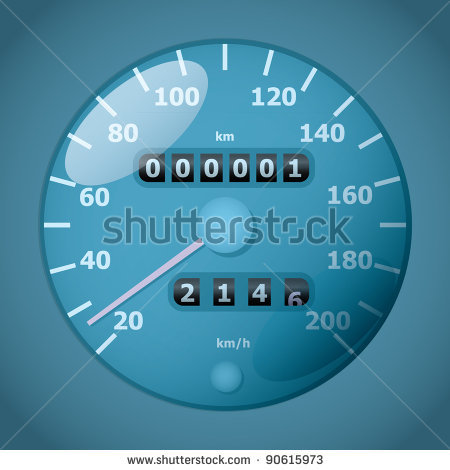 Have you ever been driving and realize that you are about to reach a mileage milestone? You know, 50,000, 666666, your birthdate, things like that? The kind of number that you drive around the block so you can witness it or the kind of number that you mourn because some other driver in the family reached it and didn't even notice? Well, we, my peeps, are about to hit the big 250 in votes for Blueberry Cove Inn's quest to pass the first hurdle in the small business grant competition. We are down to the last 13 votes. Sadly, I have to walk away from the computer and take brush to the dump. This is one of the more glamorous jobs at the inn and I don't dare delegate it to someone else while I stare at the computer screen waiting. 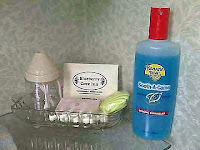 You know the routine: go to www.missionsmallbusiness.com, sign in at the bottom of the page, search for Blueberry Cove Inn and cast your vote. Got to run, the dump seagulls are calling. Being an innkeeper is a 24/7 job that I love most of the time. Like any profession with crunch times I get a little stressed out at times. I can't imagine being a teacher dealing with kids near the end of the school year who are already mentally on vacation or being a CPA in March and April. For me, mid-August gets a little tense. But, I don't need your help in August. I need it now. Before midnight on June 30 to be exact. In an effort to expand my business I have applied for a business grant sponsored by Living Social and Chase Bank. In order to be considered for the grant I need 250 votes from Facebook users to get to phase two of the application process. I have 170 this morning. 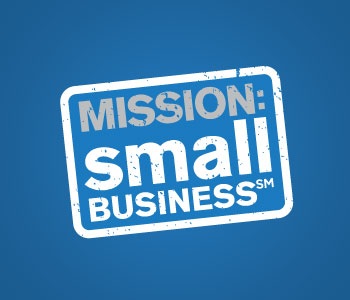 So, if you are a Facebook user and could take a minute to help, go to www.missionsmallbusiness.com. At the bottom right hand side there is a button that says "log in and support." Hit that, use your facebook sign-in and then you will see a page with search boxes at the bottom of the page. Search for Blueberry Cove Inn and register a vote. Very simple. You don't have to like my page on Facebook (although you would be more than welcome!) or do anything else. Let this be your mitzvah or good deed for the day or an excuse to goof off for a minute. Hey, search for businesses in your town and vote for them too. Although I don't know who votes I will be eternally grateful for your effort. Asking for help from Works for me Wednesday. Rhode Island Turnpike and Bridge Authority is pleased to announce that open road tolling is just days away. We want to inform you about the changes to the Newport Pell Bridge plaza so you can be ready to be in the correct lane. The new left lanes are for the exclusive use of vehicles with E-ZPass transponders only. The gates have been removed so you can drive through without stopping. You can still use the gated lanes if you prefer because E-ZPass will be accepted in all lanes. The new open road tolling lanes will open at the end of June. New road signs will appear shortly to help drivers navigate to their correct lanes. Because of the many changes to the plaza, please use caution when travelling through the plaza in the next few weeks as everyone becomes accustomed to the new configuration. If you are travelling westbound and wish to use the Jamestown exit, please use the far right lane, even if you have an E-ZPass transponder. Lane dividers in the open road tolling lanes will prevent drivers from crossing over lanes to get to the exit. If you use a lane other than the far-right lane, you’ll have to continue on to a further exit and then backtrack to your destination. By designating the lanes in this manner, we’re improving toll plaza safety for everyone. The speed limit in the open road tolling lanes is 40 miles per hour. If your transponder isn’t mounted, now is the time to correct that. Transponders that aren’t mounted correctly can’t be read – and will trigger a violation notice. To avoid the hassle of contesting the unpaid toll notice, please mount the transponder. If you need an extra set of mounting strips, please let us know and we’ll provide them free of cost. How does RITBA know if cars without E-ZPass transponders are in the open road tolling lanes? Cameras are positioned on the gantry and take photographs of license plates. When vehicles pass through without paying tolls, the owner of the vehicle’s registration will receive a notice in the mail to pay the fine as well as the toll. Like you, we’re so happy that the construction period in the plaza is over and that the toll collection process will be more convenient and faster for E-ZPass customers. If you have questions, please call us at 877-743-9727. Additional information is available at ritba.org. Did you know that Rhode Island has an abundance of golf courses? Fantastic courses. Tough enough for LPGA tournaments and easy enough for the beginner. Long ones, skinny ones, short ones, fat ones, oops that's the "Guess I'll Eat Worms" song but you get the idea. Plus, from what golfers tell me, green fees are low compared to other places on the East Coast. This is the year you absolutely must come to the Narragansett Chamber of Commerce Annual Golf Tournament on June 1, 2012. Don't you have better form than this duffer? So check out the copy and links I pulled from the Chamber web site. If you register, I'll give you 20% off of your room rate (up to a three night stay) as another thank you for supporting Narragansett. Now, take a deep breath, and yell, FORE! All Players receive 2 round trip tickets on the Martha’s Vineyard Fast Ferry and 2 Tickets for the popular Rhode Island Bay Cruises-Lighthouse Cruise, 2 Tickets valid for any summer theater show at The Contemporary Theater Co., (That’s already over $250 in gifts) a gift bag with valuable coupons and promotional items, continental breakfast and post tournament buffet. Join us for another fun filled day of great golf with great friends. This tournament continues to be one of our most popular events. North Kingstown Municipal Golf Course- aka Quonset 7:30 am Registration and Continental Breakfast, 8:00 am Shotgun Start. Post Tournament Buffet, Raffle, Contests and Prizes. Only $115.00 per golfer. Register and pay by clicking the link below. You may register and pay for up to four golfers per form. Don’t have a foursome? Don’t worry. We’ll pair you with other single players. Don’t hesitate – Register Now. Fourteen years ago we selected the paint colors for the public areas. (Actually, my brother selected the paint colors due to circumstances that revolved around an innkeeper's leg broken in a fall from a dumpster, a second innkeeper too stressed to make a choice, and major deadline pressure. That's a story for another day.) Over the years the furniture and decorations evolved but the paint stayed the same. The living room and dining room are fairly traditional without being overly fussy or Victorian. They are pleasant rooms, IMHO, but to be honest, the pinkish beige wall scheme has always bored me to tears. So, call it my middle age crisis or a late seven year into innkeeping itch or just pure insanity but a former-innkeeper-girlfriend and I just tore the dining room apart and started painting two days ago. On a spur of the moment, hey we have a stage let's put on a show, we don't have any reservations for a few days, the time is now plan. It was such a sudden, serendipitous, convergence of schedules that I forgot to tell Dave that it was going to happen. So stay tuned for the big reveal. There's a three toned color scheme: Behr Rhythmic Blue over Rainstorm with white trim. The dividing line is a new chair rail at the level that chairs actually hit the wall. We are playing with possible furniture rearrangement and the window valance is going on to another stage. If anyone has any suggestions for other changes, feel free to chime in. For instance, I'm really not sure what I what to do to window treatments. I've mentioned before that in our efforts to be a "green" property we save all of the left-over guest soaps and send them to Clean the World for reprocessing. 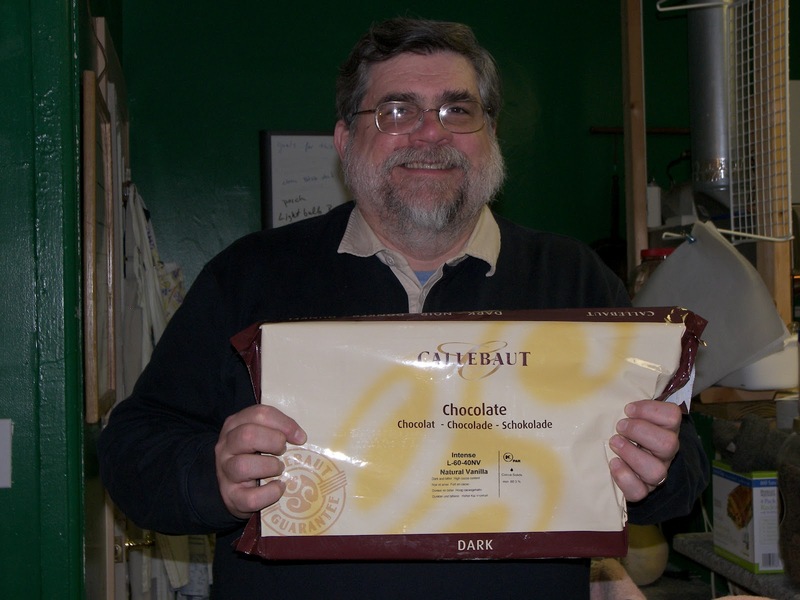 Last year the inn donated 15 pounds of soap to their cause. Not nearly as much as the Disney resorts but more than nothing. Clean the World is a not-for-profit group based in Florida. 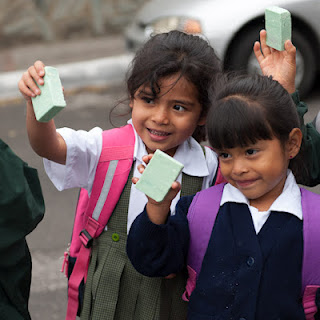 Their mission is "save the millions of lives lost each year to acute lower-respiratory infection and diarreal illness by distributing recycled soap and promoting proper personal hygiene practices." They collect soaps from inns and hotels all over the country to melt, sanitize and reshape into bars to be used for personal hygiene and general cleaning. Remember the big Haitian earthquake? Clean the World was one of the first to send supplies. Their blog just featured their recent outreach to an orphanage in Guatemala. In addition to collecting used soaps, Clean the World welcomes new soaps collected at community soap drives. 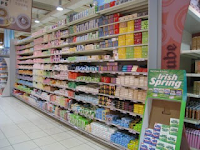 Anyone can organize a soap drive so I thought, why not have one here at the inn? Any guest that brings a full-sized bar of new soap to be donated to Clean the World will be given a $5 credit toward their room rate, packages or gift shop items. (Limit of $10 discount per stay per room.) Any brand, any scent, no scent, whatever you like - or don't like, say, that smelly gift set that you have never opened from holidays long gone. Now if you get wild and crazy and want to bring more than one bar I will be happy to send them along. This promotion will run through June 20, 2012. Mother's Day is coming, do you have plans?? 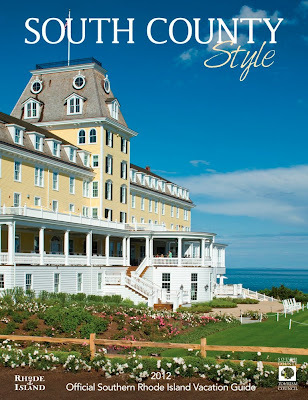 If you are going to be in town, the Coast Guard House offers a lovely Mother's Day Brunch and an eqaually lovely special dinner. Book early as they fill up quickly. Ten reasons to make your summer plans now! 1. Lots of people are looking at our web site and booking dates. 2. You need a distraction from winter. 3. We are now hosting small weddings and other events. 4. We have new menu items. 5. Two weekends are already fully booked. 6. Graduation weekend will be here before you know it. 7. The America's Cup World Series is in Newport, Rhode Island, USA. June 23 - July 1, 2012. 8. The Tall Ships are coming back July 5-9, 2012. 9. You absolutely deserve a fun vacation. 10. 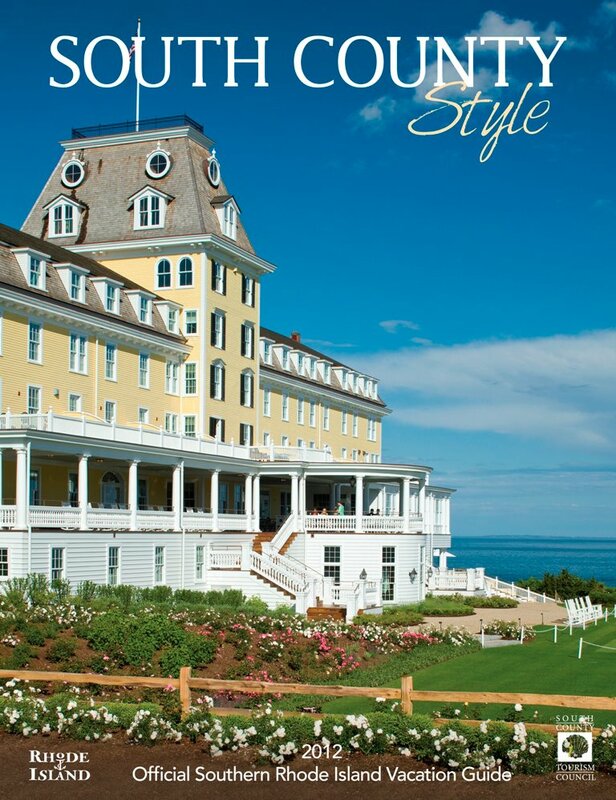 The new South County Style vacation guide is now available and can be ordered on-line for free. Are you looking for an elegant, affordable and memorable location for your wedding? If so, please join us Sunday, January 8, for the 5th Annual South County Bridal Show. The South County Tourism Council and Southern New England Weddings will host a spectacular event displaying South County’s finest vendors in the wedding industry. Registered brides can win a free bridal gown and other prizes! The event takes place Sunday, January 8, 2012 from 11 a.m. - 4 p.m. at the historic Towers in Narragansett. It's not to late to register on-line. Tickets are $12 in advance or $15 at the door. For the first time Blueberry Cove Inn will be participating in the show. This year we will be offering several wedding packages if you would like to get married here at the inn. Watch our web site, the new Weddings and Events page will premier next week.